When I first reviewed Once Upon a Milkshake in 2010, I wrote that it could have a fairytale ending. This became true! 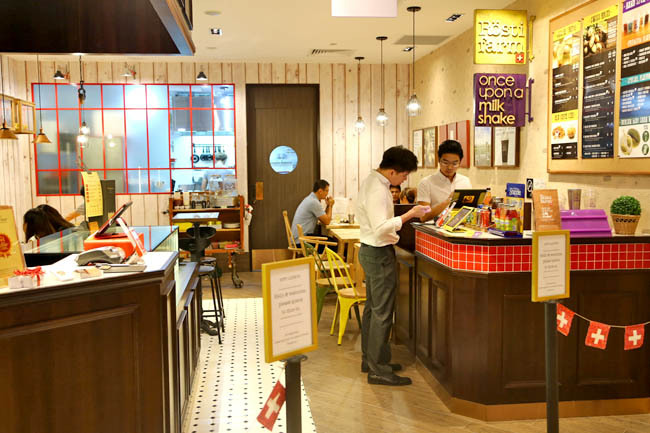 You can now find the humble milkshake store expanding to countries from Malaysia, Thailand to South Korea. 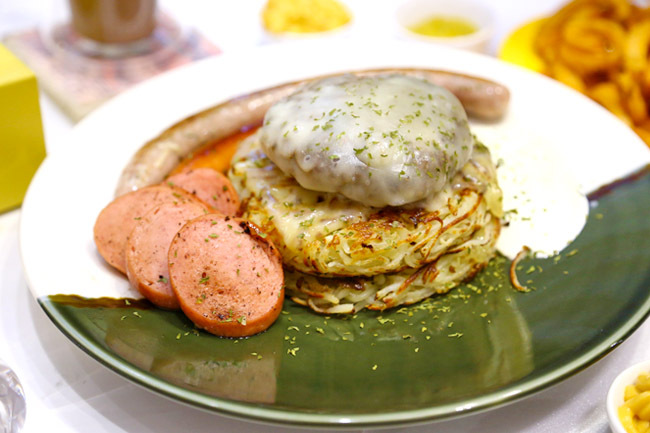 In this sequel, the team from the milkshake company brings all the boys to the yard to set up casual restaurant The Rösti Farm focusing on swiss rosti at Capitol Piazza. The Rösti Farm was evolved from their pop-up brand Once Upon A Rösti – where they explored and trialed for about 2 years on the feasibility of a food concept whereby rosti was served as the main dish. Which reminds me: One other place really famous for their rosti is Marche, though its standard had differed from the good old days. Rosti takes centre-stage here, appearing in main courses such as 100% Angus Beef & Maple Bacon Bombs with Single Rosti ($18, with Double Rosti $3 extra), The Happy Weekender ($20) where you get German bratwurst infused with real beer, sautéed mushroom, grilled pineapple and an overeasy egg, Mermaid’s Seafood Platter ($16) and Sir All Day Breakfast ($14). 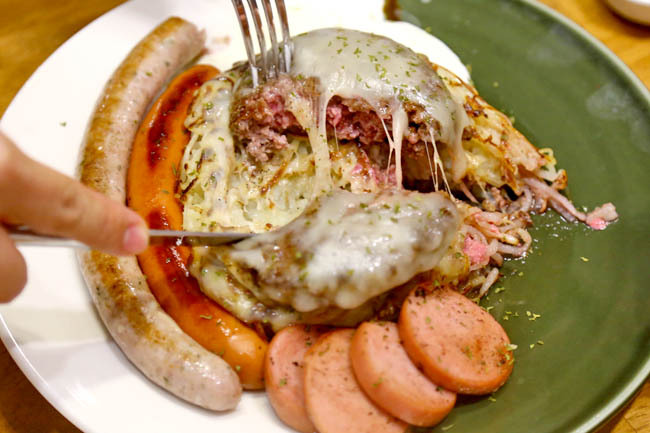 The Three Little Pigs & A Beef Bad Wolf ($22) immediately captured our attention with 3 different types of sausages – fleischwurst, wienerli, and nurnberger brartwurst, topped with a 150g 100% black angus beef patty on rosti. Sounded like the ultimate comfort food to have. The moment of truth. When we cut the burger patty right open, we gasped in surprise “OMG” as the red squirted out of the beef in surging flows. Okay, this could be an indication that the patty needed more ‘resting’ before cooking so that the juices could be more evenly distributed. We liked the tasty potato rosti and light sour cream on side, plus quality provolone cheese was used. The dish would have score better if the outer layer was crispier. 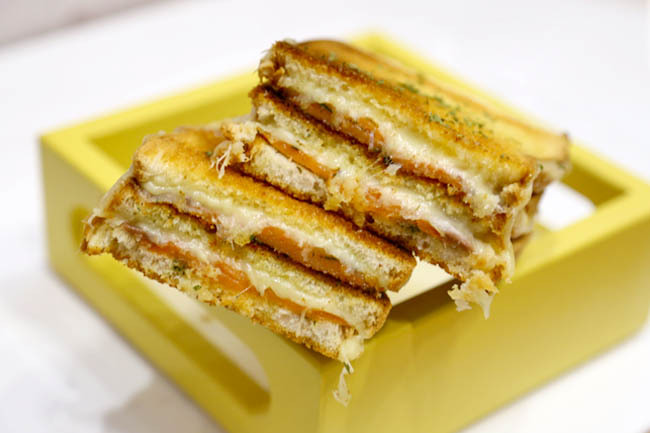 Unfortunately, the other item – a single decker of Smoked Salmon Parmesan sandwich didn’t find flavour with us, because the salmon was way way way too salty. In general, the food tiled to the salty side. I figure that it is because their previous brands such as Once Upon A Rösti was catered to the youths, while its present location at Capitol Piazza would attract an older customer base who would prefer something like less salty. 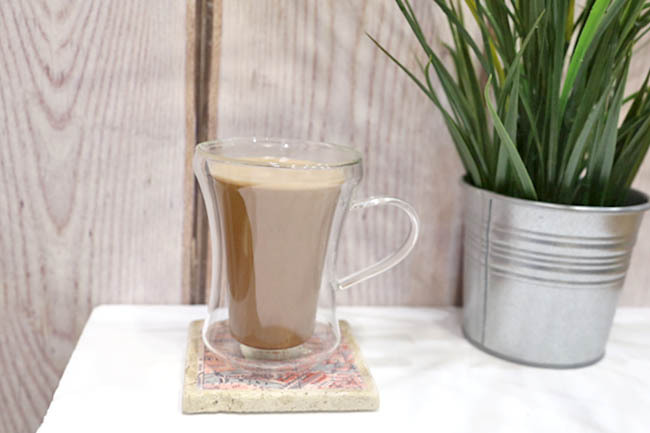 The Rösti Farm is part of a 3-in-1 F&B concept in the same shop, the other two being Once Upon A Milkshake and Teuscher Chocolates of Switzerland. If there is one dish that would define me, it’s burger! 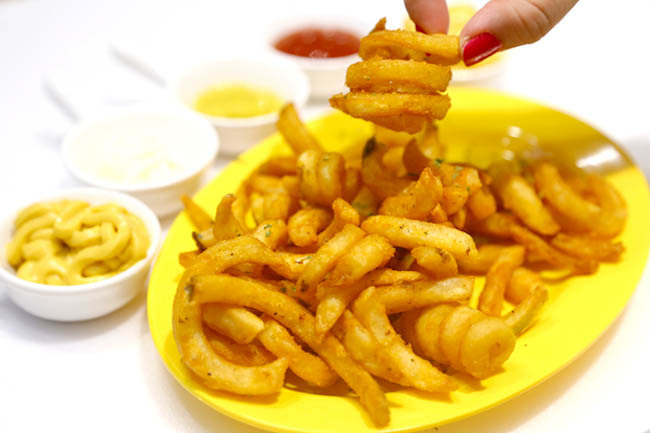 I have a tooth for burger and I would never get tired of eating this. It’s a good thing you have this new recipe. Can’t wait to search for the nearest Hong Kong food delivery so I could have a taste of the Three Little Pigs & A Beef Bad Wolf!